Lightprayers are a variation of the common practice of prayers, but with the advantage of learning how to vibrate the power of the spoken words, active actions and activating the internal Light of the individual to reach further distances and various latitudes of frequencies. 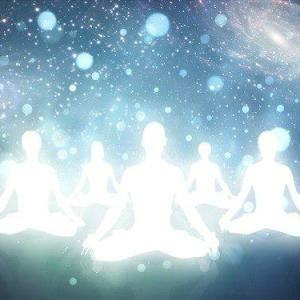 The basic concept involving Lightpraying is the dislocation and movement of energies through one’s many bodies, first inside of one’s physical body and subsequently pulsating this influx of Light energy through the extra-physical bodies and projecting it where the intention is aimed. There is no doubt that the act of prayer, like the volition to meditate, creates a deeper sense and connection with our Higher Selves, and at the same time, balances our energy levels to integrate into a bigger picture that transcends the duality of our material mind. One can bypass the snares of the egoic mind through some expedients that activate one’s inner planes which can facilitate the extension and efficiency of one’s prayers. Center yourself, focus your intention and send out the following intention. For the opening of my paths to prosperity, both internal and external, that may be preventing me from achieving the prosperity I need, in all its myriad forms, so that I may accomplish my personal, my family, my community and my global commitments. I ask simply for the tools and resources to be effective hands in the garden, and for the discernment to understand exactly what those tasks you have assigned to me are. Help me to set aside my own ego in this matter, so that I may be as clear a vessel as possible, for your Divine Grace to shine through. I hereby Declare, Decree and Dream Awake, that I will be an open conduit, for the Prosperity and Abundance that is being, has been and will be poured down on me, so that it may flow through me to touch the lives of those I come into contact with, that are in need of Compassion, and your Divine Blessings. Linking this with Prayer Without Ceasing techniques and or the mantra Om Gam Ganapataye Namaha is particularly effective, especially if done as part of forty day ritual.